Note: Please do not re-upload my PDFs to any other site. I put a lot of effort into them. Please enjoy the posts and these printables, but please DON’T relocate them. Please do not link directly to the PDFs, but to the blog posts where they are found. Thank you! 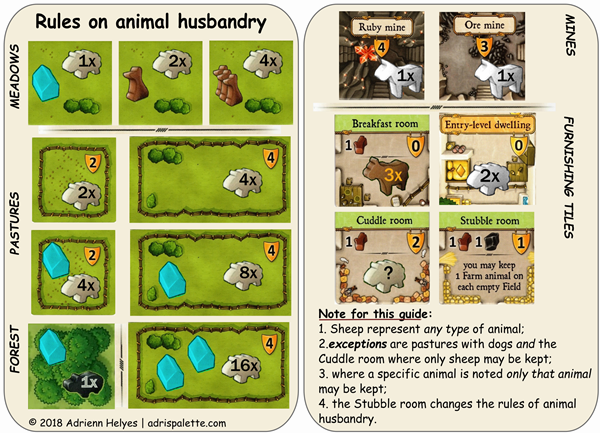 Caverna (board game) player aid – on an A4 sized paper the image should be 91mm x 128 mm. Download the free player aid here, or on BoardGameGeek here. 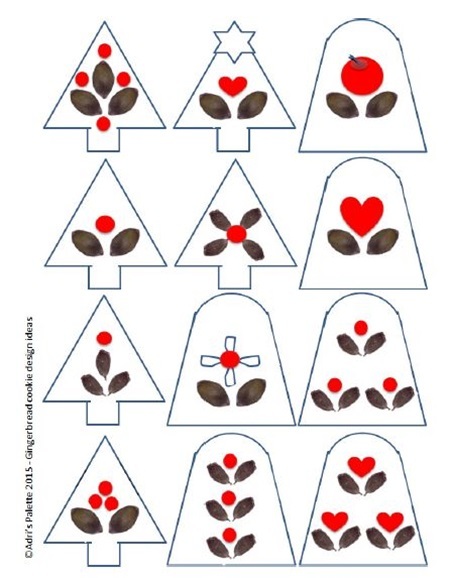 Gingerbread design ideas for tree and bell shapes. 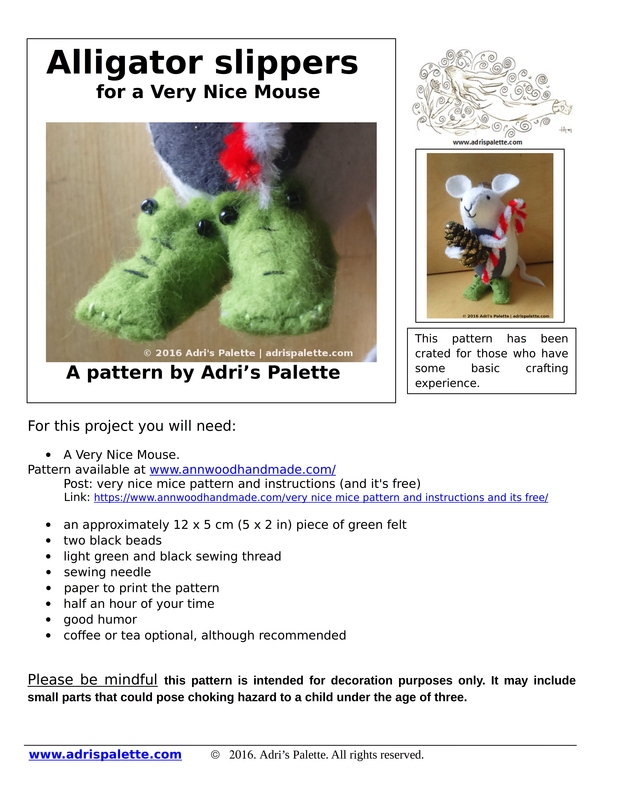 Download the free pattern in pdf here. Alligator slippers for Percy the mouse. 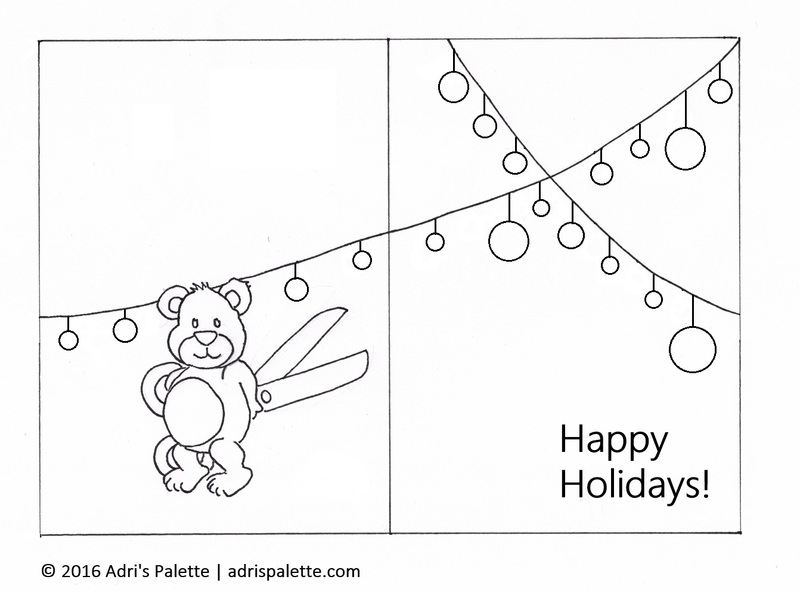 Holiday greeting card and coloring.